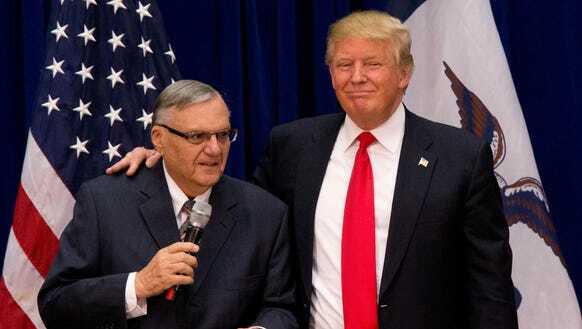 President Trump stood up for justice and for enforcement of our immigration laws when he courageously granted a pardon Friday to Joe Arpaio, the former sheriff of Maricopa County, Arizona. Despite knowing he would face criticism, the president did what was right. Arpaio’s conviction arose out of a lawsuit wrongfully accusing the sheriff’s office of violating the rights of Hispanics, allegedly using racial profiling tactics to identify people for traffic stops, and detaining convicts based only on the suspicion that they were illegal immigrants. Arpaio denied all wrongdoing. I sat in the courtroom through Arpaio’s trial and concluded that he was wrongfully convicted. As a former law enforcement officer myself and former executive director of the Law Enforcement Alliance of America, I know that Arpaio was dedicated to protecting the public he served and that his highest priority was keeping his community safe. Read the rest from James Fotis HERE.